Ventis Double Wall Black Stove Pipe by Olympia Chimney Supply Inc.
Improper venting of fireplaces can lead to insufficient heat, cool drafts, and sooty odors. Choosing the right diameter for a certain vent can also be challenging, particularly if an installer is inexperienced. For these reasons, picking the right venting system is extremely important. Here are some products that make venting easier. The Ventis Double Wall Black Stove Pipe by Olympia Chimney Supply Inc. is part of the Ventis family of products that is made from corrosion resistant 400 series Stainless Steel and has an attractive outer black surface made of durable aluminized steel to withstand temperatures up to 1200 degrees F in continuous operation. It is UL listed to ULC S641 & UL103 standards and carries a Lifetime Warranty. 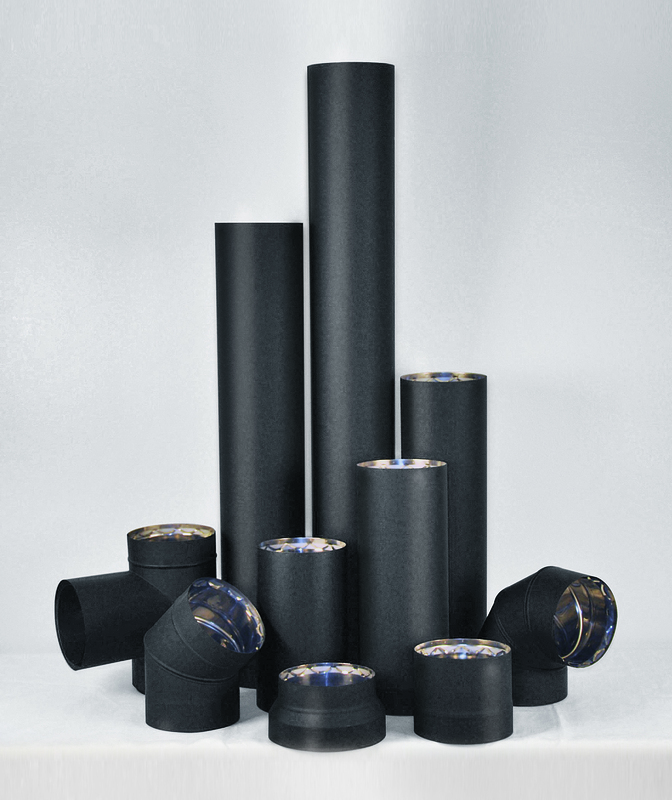 Bernard Dalsin Manufacturing’s Pro-Form flexible concentric direct-vent pipe is available in 6 5/8-inch and 8-inch diameters. 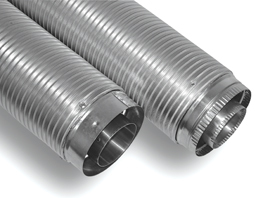 This flexible direct-vent pipe allows one to avoid costly elbows and any additionally cutting of walls. It is ideal for a fireplace or venting that is in a corner or in an up-out configuration.